What makes Owen River Lodge so special? Well, in order to be the best, a combination of many parts needs to come together. We have warm luxurious accommodations, a friendly and motivated team of staff members to care for our guests, talented and innovative chefs, modern and well maintained facilities, and understated and unpretentious service. But don’t take our word for it, read what our guests have said about their stay with us. Our aim is to spoil you rotten, allowing you to unwind, relax and enjoy the stunning countryside around the Lodge. And, of course, to indulge in our world class trout fishery. We’re two kilometres from the main highway down a lovely country lane which follows the Owen River, a leisurely 90 minute drive from Nelson or approximately 3.5 hours from Christchurch. The lodge sits on the bank of the Owen River among 16 acres of gardens and farmland. With almost a kilometre of river frontage, it is an ideal locale for a quick practise before you venture out with your fishing guide or for that quiet after-dinner cast during the evening rise. The food at Owen River Lodge could best be described as stunning! Ryan, our head chef, has cooked for leading restaurants in New Zealand, USA and England. We use the very best of fresh, locally-sourced produce, much of which is picked right out of the lodge’s own vegetable and herb garden. Naturally, the tariff includes all meals, beer, house wine and non-alcoholic beverages. Owen River Lodge is absolutely a specialist fishing lodge. However,the facilities and service offerings we provide have been developed for the angler and the non-angler alike. To ensure the absolute privacy of our guests, we designed and built six guest cottage suites in the lodge gardens. Each cottage suite comes complete with wonderful views of the river, the valley and the mountains beyond. The main lodge building includes the dining room, lounge room, sitting room, lodge shop, fly tying area and, of course, the bar. One of our guest lounge rooms is equipped with Cable TV and DVD player and a Notebook PC for you to check emails etc. If you need to stay “plugged in”, our WiFi wireless network with satellite-delivered broadband is accessible from all guest suites as well as the main lodge building. In the lodge grounds, just past our herb and vegetable gardens, you will find the dedicated massage room and our outdoor jacuzzi / spa. You’ll also find the path which leads down to over two acres of riverside gardens and a wonderful deck area located right by the river. It’s a relaxing place to unwind from the stresses of modern life - whether you fish or not! 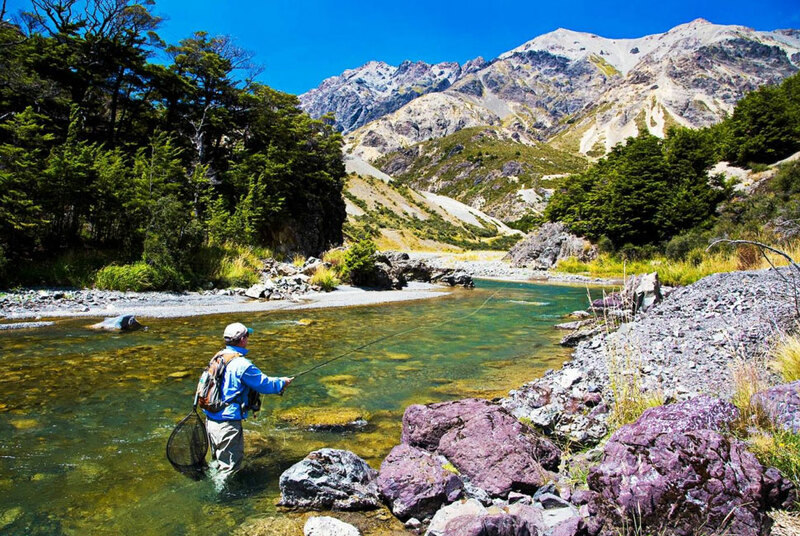 The Nelson, Marlborough and West Coast regions offer a myriad of things to do for our non-fishing guests. TripAdvisor’s “Certificate of Excellence” award (2015, 2014, 2013, 2012, 2011 and 2010). Fodors Editor’s Choice award (2014, 2013, 2012 and 2011). 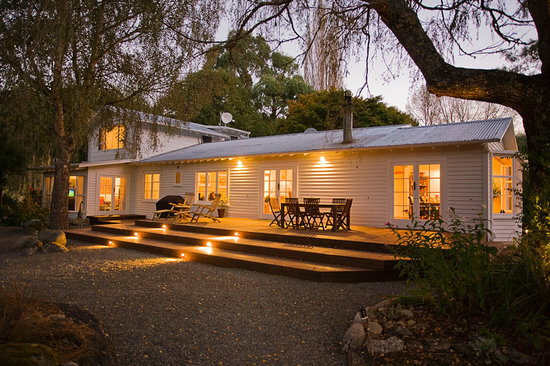 In October 2005, the Lodge was awarded a Qualmark rating of 5 stars: Exceptional – among the best available in New Zealand. In 2008, Qualmark granted us Enviro Gold status, its highest level of recognition for environmental sustainability. Qualmark is New Zealand tourism’s official quality rating system for accommodation providers and the broader tourism industry. Our priority is to offer you generous, friendly and unpretentious hospitality. We aim to provide you with the very best holiday/vacation possible and would like you to think of our lodge as your very own private luxury fishing club.